Impressive and classy, this fairy-tale estate with its beautifully landscaped gardens towers over Sotogrande like a castle. One may call this property one of the most beautiful in Sotogrande. 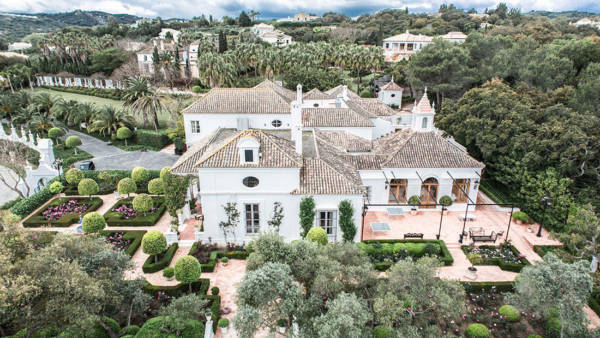 In a sheltered complex, adjacent to the Valderrama golf course, this stunning four-storey villa has 13 rooms and seven bathrooms. With its patios and terraces, the elegant pool house and large pool, the rose gardens, orchards and fountains, the library and bar, the spa, this exclusive luxury property will certainly leave no desire, no matter how demanding, open.